Well Mama Enrollment - id102 — Caroline Zwickson, M.A. Course starts on January 21st 2018. Well Mama is a one-of-a-kind, 8-week health & life coaching program for moms who want to take excellent care of their health & the while reviving and re-connecting with the woman behind the mom. BUT AS A WHOLE WOMAN! This is not a textbook program telling you all the standard things you already know from the internet or preaching your ear off about how to be the "perfect" mother, wife and woman. The focus of this program is not on pretending that motherhood is easy if you just follow A, B, and C because that would be a lie and you know it. Well Mama marries health and life coaching for REAL moms who are as passionate about loving their kids as they are about loving themselves and staying connected to their partner. Well Mama will help you create a solid foundation for how you can take better care of your body, nourish your emotional self so you can still feel like yourself, remain in harmony with your partner so you can parent strong together, and create a vibrantly fulfilling life for your whole family! while raising a happy, healthy family. "I REALLY enjoyed and benefitted from Well Mama! I joined the program to learn more from Caroline's expertise on motherhood, nutritional considerations for a healthier mind and body and recommendations on how to live a more mindful/balanced lifestyle as a parent. I also LOVED reading about what we can do to help strengthen our marriage and to be more open to practicing self care (as a way to not only benefit myself but also my family)." >> You are a mom who adores her kids but misses herself. >> You crave more balance and harmony in your body and in your life. >> You want more confidence, less anxiety, and a much clearer plan for the life you're creating. >> You want to eat healthier, take great care of your body and enjoy food without having to spend hours looking up healthy meals or preparing food. >> You never thought that having kids could make you feel LESS close to your partner and you deeply miss him (or her). >> You long to feel at home in your body again and wish you had some simple ways to tune into it and honor it for all it's done through birth and nurturing your littles. >> You want expert guidance on things like... balancing your hormones, replenishing key nutrients, what you should be eating to support a healthy mind and emotional strength, and how to stay in touch with the WHOLE woman you, so you can be more present in your whole life. >> You catch yourself feeling lonely and isolated and want a tribe of other real moms. Motherhood was never meant to be a one-woman job. and use it to make the changes you've been longing to make. "She is truly one of the most dedicated and professional coaches I know, and I am grateful to call her a close friend and colleague. Her genuine compassion and understanding for the struggles that many women and moms experience on their journey is unmatched." 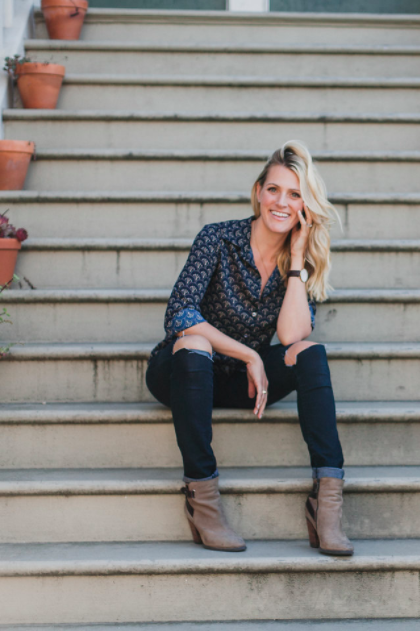 "Beyond the letters after her name and her deep credentials in counseling and professional health coaching, Caroline really walks the talk. Those who are the best healers and the best at empowering other women to heal and live fully are those who with bravery, kindness, curiosity, and vulnerability take on the journey for themselves." 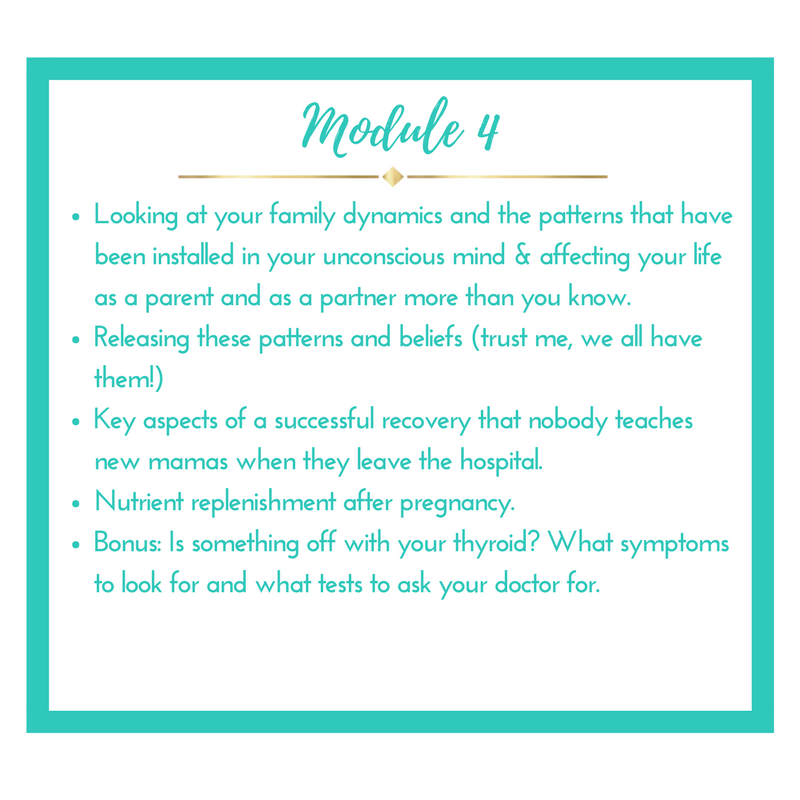 Our curriculum is based on giving you the very best tools, topics, and teachings on how you can thrive as a mom in your body and in your mind, create a meaningful life and take excellent care of yourself and your growing family. 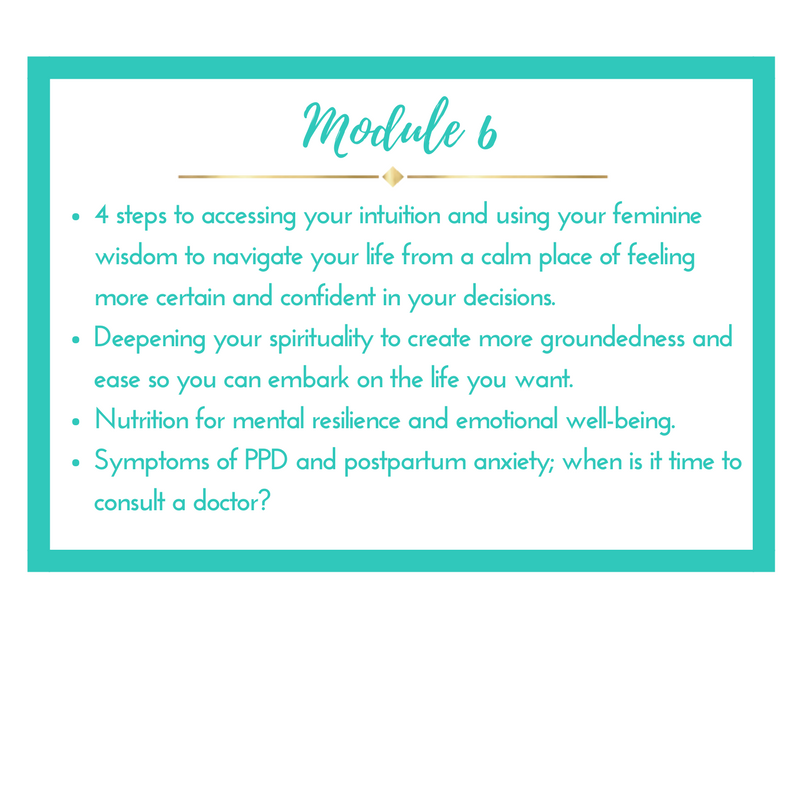 Over the course of 6 curriculum modules and 2 self-care weeks, we cover the must-haves to being a Well Mama (see below for a detailed outline of our topics). Every week you will get access to a health coaching and a life coaching section of Well Mama (typically this includes an audio lecture and checklists, handouts and/ or exercises). All audio lectures are set up so you can listen to them anytime from your computer or smartphone. A favorite of all the Well Mama Graduates: You will get the Well Mama Cookbook that you can download as a PDF or open on a tab from your smartphone. Curated from a list of Caroline’s favorite personal recipes, her mentors in the health industry, her go-to chefs and recipe inventors, the Well Mama Cookbook contains tons of recipes for breakfasts, lunches, dinners, snacks, desserts, and beverages to give you easy tools and go-to ideas to make your kitchen healthy, easy AND yummy while making you feel GREAT. The best part? The recipes aren’t “diet recipes” (I don’t believe in diets) and I promise that your kids and husbands will LOVE them just as much as you do. 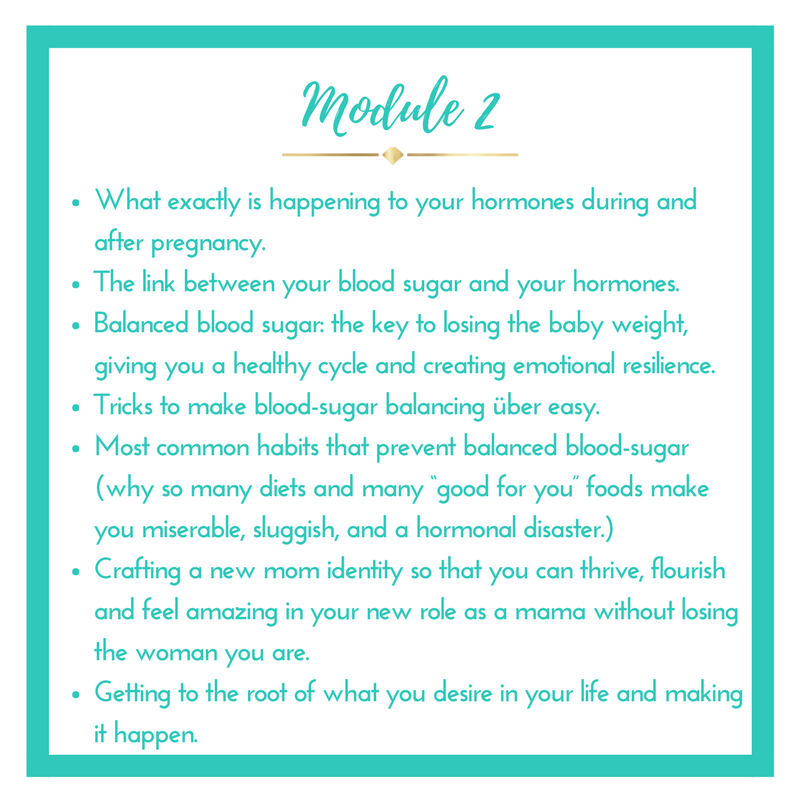 One of Well Mama's core principles is to teach you how to keep your blood-sugar balanced because that is key for hormonal, physical and emotional well-being. It is also our goal to keep you meals delicious and your plates colorful and easy to prepare. That's why you will get Caroline's personal shopping list that you can download or print and keep on your fridge or easily take to the grocery store with you. 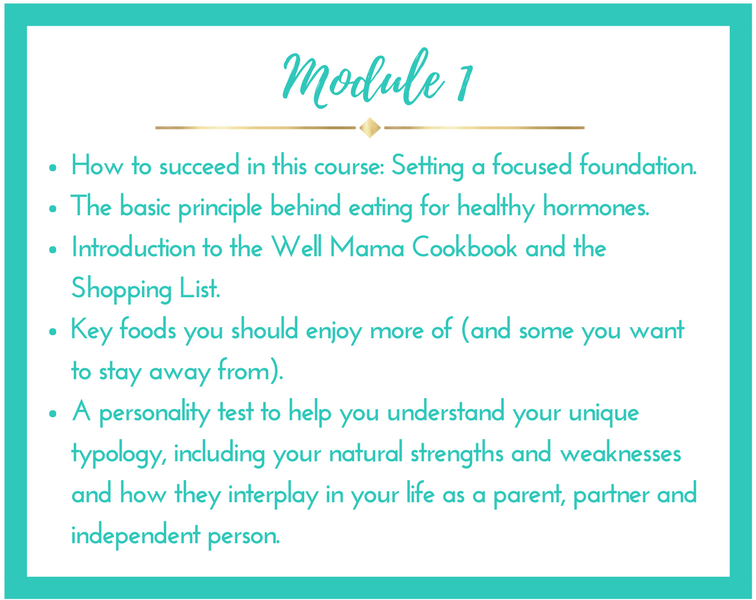 The first thing you will be guided through in week 1 of Well Mama is a step-by-step system to create accountability and follow-through. I know that one of the biggest hesitations women have when it comes to signing up for a program like this is their fear that they will buy something and then never look at it and/or feel guilty for not finishing it. That's why I created a system for you complete with a motivational exercise, checklists and specific steps to prepare for the course. That way you can go into Well Mama with a specific plan for how to get the most out of this program. The master Well Mama Workbook (see #5) is another key component of this. The Well Mama workbook contains weekly checklists and all the Well Mama exercises, handouts and info sheets collected in one place. Well Mama is designed with busy mamas in mind and so you never have to take notes; rather all the notes are taken for you and collected in this workbook as well as in each module respectively. Many mamas feel hesitant to sign up for a course like this because they know that following-through will be tough. We provide you with the Well Mama workbook to help keep you organized and accountable while fueling your motivation and making it easy to go through the exercises. This is where the magic happens and you can hash out what’s going on for you personally. In week 4 and in week 8, we will get on the phone as a group and you have the opportunity to get laser coaching from Caroline on what you’re specifically struggling with. Women have had the most incredible breakthroughs on these calls both in getting personal support and in listening to the other women. If you for some reason cannot make the live calls, you can submit your questions before the call and I will answer them, so you can listen to them on the recording that we will send out afterwards. Well Mama is designed to attract the most incredible, passionate and loving women from all over the world. Our intention is to foster deep connection and real friendships amongst mamas like you. A space where there is no judgement, lots of laughter, compassion and openness to wherever you are in your journey. We have a private facebook group set up for you to ask questions, connect with each other 24/7 and get regular support from each other as well as Caroline herself. As moms we are so inclined to put ourselves last that we created two separate weeks during which you will be challenged to step up your self-care game. During these weeks there will be no new material. Our challenge for you is to create the most fun, yummy, delicious self-care week you can imagine (if that makes you nervous, don't worry we'll help you along the way) and we promise it doesn't have to cost you a ton of money. This is your time to put everything you’ve learned into practice and really make your new mama self an active part of your priority list. It’s time to experience ease and lightness in your role as a mother and perhaps meet up with some fellow-moms to celebrate yourselves (we believe that there can never be enough celebration in life;)). DO YOUR HORMONES NEED ATTENTION? WELL MAMA STARTS ON JANUARY 21, 2018. Each new module contains one health coaching and one life coaching section. A new module is released each week with the exception of week 4 and week 8 which are dedicated to self-care, implementation, and celebration of all that you've accomplished. Less stress, overwhelm and sadness. More calm, trust, and faith. Feeling empowered, feminine and present in your journey now. Over and over, I HAVE been blown away by the incredible capacity of women to create, transform, and step up to a completely new level in their life. I have witnessed moms who felt completely overwhelmed, emotionally drained, and physically struggling and I knew that nothing would change for them unless they began to recover and take care of themselves -the woman behind the mom. So many moms have told me that they feel like they are running on empty, like they don't even know who they are anymore, that they have trouble in their marriage and that they feel like their life has been turned upside down since having kids. They tell me this with guilt in their eyes because they know that in exchange for these feelings, they were given the biggest gift in their lives: their babies. They feel like they shouldn't complain. I am here to tell you that while this journey of motherhood isn't easy and I know that your struggles are real, I also want you to know that there are things you can do to get back in contact with the woman you are.... because, love, I know you miss her. I've been there myself. As a mom of two, I get your struggle. As women, we thrive in companionship, in environments that are rich with compassion, connection and empathy. When we have access to top notch information and become curious about how we can commit to ourselves, our process, our journey, a whole new world opens up. This is what Well Mama is all about. It would be an honor to have you join us. I promise, I will not let you down. >> >> >> 1. I am so busy already. I am afraid to sign up for something that I won't be able to finish. I so get your worries, believe me. I am a mom myself and I created this program 100% with a busy mama lifestyle in my mind. That's why the very first thing we are going to do together in Well Mama is build a personal strategy and motivation plan for you so you can go through this program successfully. In addition, I have built in two self-care weeks where there is no new material and you can spend some time catching up. Plus, everything is recorded and notes are taken for you, so you can access the material whenever you want (even beyond the program length). I know you can do this mama! >> >> >> 2. I am going to be on vacation/ traveling/ busy with extended family for some of the time that the program is running. Can I still do it? Yes, you absolutely can! Everything is recorded and kept track of beautifully for you. If you have to miss a week, you can always come back to it after the program is over and go at your own pace. >> >> >> 3. Is this program only for brand new moms? No, this program is for ALL moms. While there are some bonuses on things like connective tissue healing and breastmilk production, the core of the program is laid out for all moms who are struggling to feel like themselves and are wanting to get a clearer sense for who they are and what they want while also taking excellent care of their health and their relationship to their partners and children. I feel so confident in this program and I'm so invested in your success that I want to give you a chance to try Well Mama Risk Free for 30 days. If you fully participate in all of the audios, complete all of your homework and you don’t feel a dramatic shift in your life, then I will happily give you a full refund within 30 days of enrollment. All you have to do is email in your completed Course Work. That’s how dedicated I am to your transformation.